Timber Pro Deck & Fence Formula is a unique waterborne natural oil resin formula designed to stand up to the harshest environments. 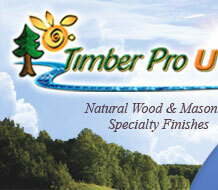 Timber Pro Deck & Fence Formula uses a unique combination of sunscreens and pigments that protect the wood surface from the sun's ultraviolet rays. as well as from the elements. Excellent Penetration: A unique formula that allows excellent penetration, deep into wood decks and fences. 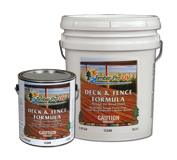 Deck & Fence Formula Breathes: This is especially important where there’s a build-up of water. Excellent UV Protection: Unique UV absorbers and pigments protects wood from the sun. 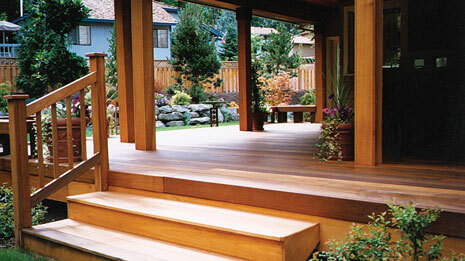 Unseasoned Wood — No Problem: Deck & Fence Formula can penetrate wood with up to 21% moisture content. Easy To Apply: Deck & Fence formula can easily be applied by spray, brush or paint pad. Easy To Maintain: Cleans up quickly for the application of another coat for continued protection.